That beasty deserves to be seen! 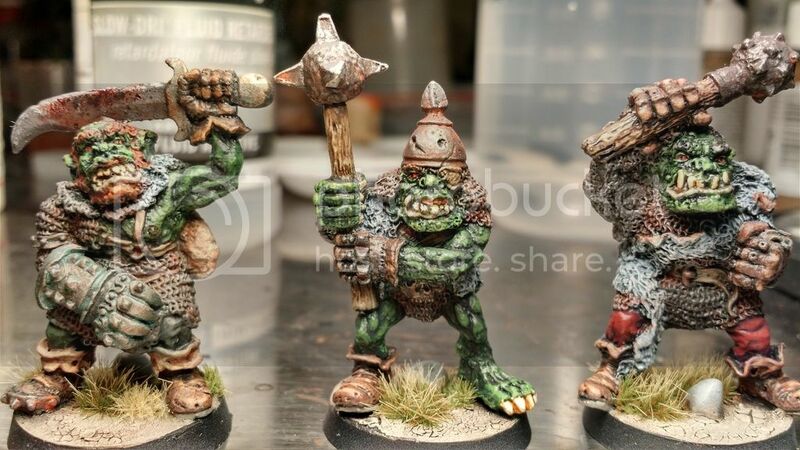 Did you see that the next plastic set for Frostgrave is Gnolls? Oh, and great job on him, he needs an army to back him up now. Nice one Antipixi... are those dragon droppings in the top right background? Also, that gnoll is a lovely model with an equally lovely paintjob. Nice one Rab! Bought this old Citadel giant without a weapon so weapon added from an old giant mummy. I think he looks cool with a dragon's leg as a weapon. Shows he's really hard. Look at me I ripped a dragon's leg off and now I'm going to hit you with it! Lovely orcs! They look so nasty! Bob's stuff is fun to paint. Naagruz wrote: Lovely orcs! They look so nasty! Thanks! 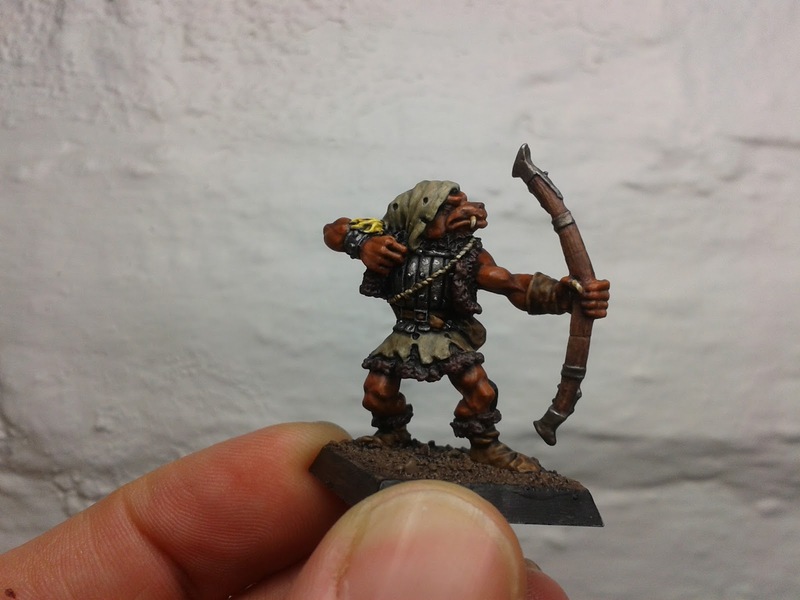 There is definitely a learning curve to painting Bob's models. I should have started with much lighter tones.